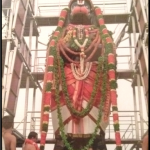 Categories: Hanuman, Rama, Srimad Ramayana. Starting from March 31, 2014, Ramayana will be recited/read for nine days at several temples and holy places around the world, culminating in the auspicious Rama Navami (birthday of Sri Rama) on April 8. In commemoration of this auspicious time of the year, we have a two-part Ramayana quiz for you in our March and April issues. 2. What does the term ‘Ayana’ mean? 3. 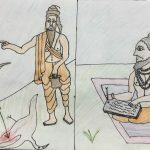 In which Yuga did Ramayana take place? 6. What is the birth star of Lord Rama? 7. For how many years was Lord Rama ordered to go to and live in the forest? 8. Name the brother of Lord Rama who accompanied him to the forest. 9.Who was the twin brother of Lakshmana? 11. What does the term ‘Sita’ refer to? 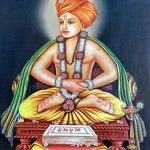 12. Who was King Janaka’s wife?